Badagry also known as Badagri is a coastal town and local government area in the suburb of Lagos State, Nigeria. 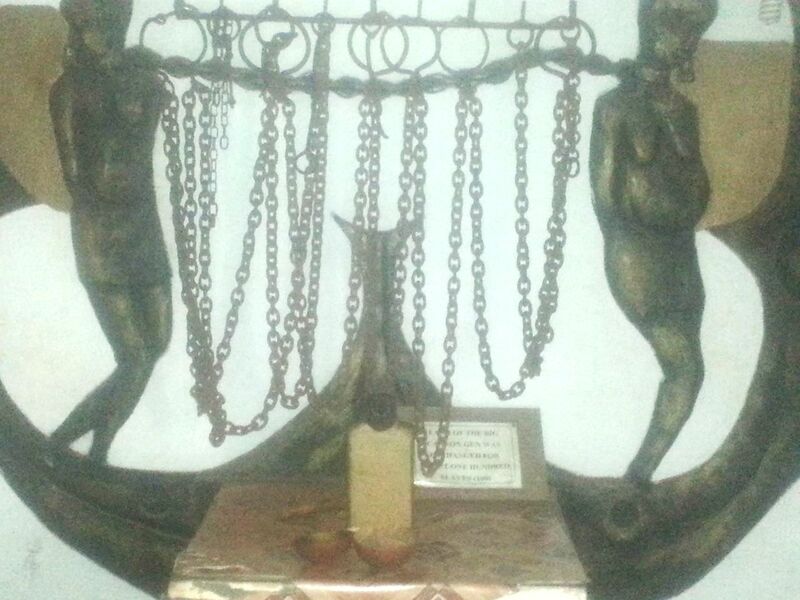 It is situated between the city of Lagos and the border with Republic of Benin at Seme. 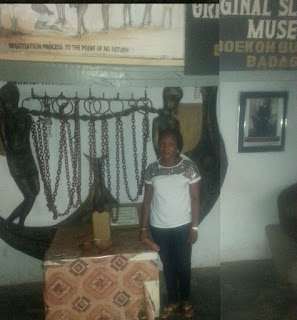 This town plays a major role in the history of the contact between America, Europe and Nigeria. It was a major slave outpost and market during the centuries of slave trade. 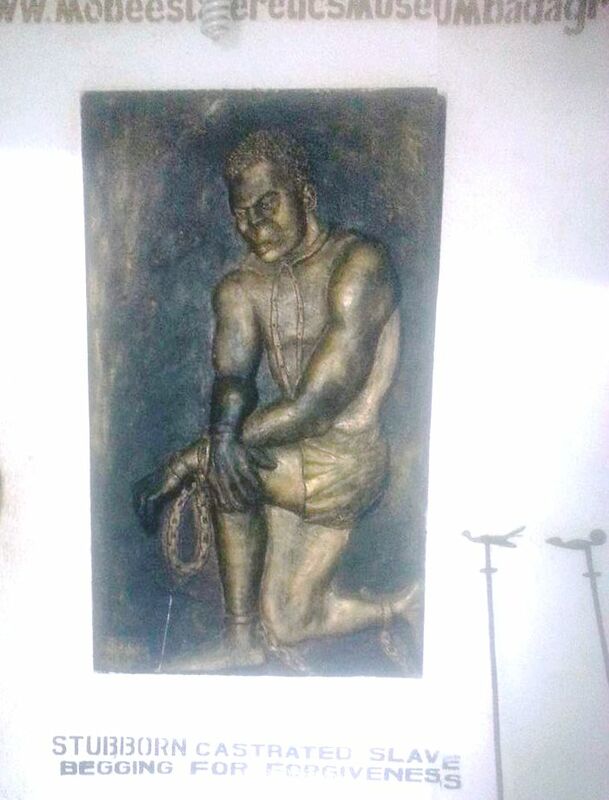 Now Badagry is a thriving tourism site that attracts people of African descent from all over the world who wants to experience history of the slave trade. 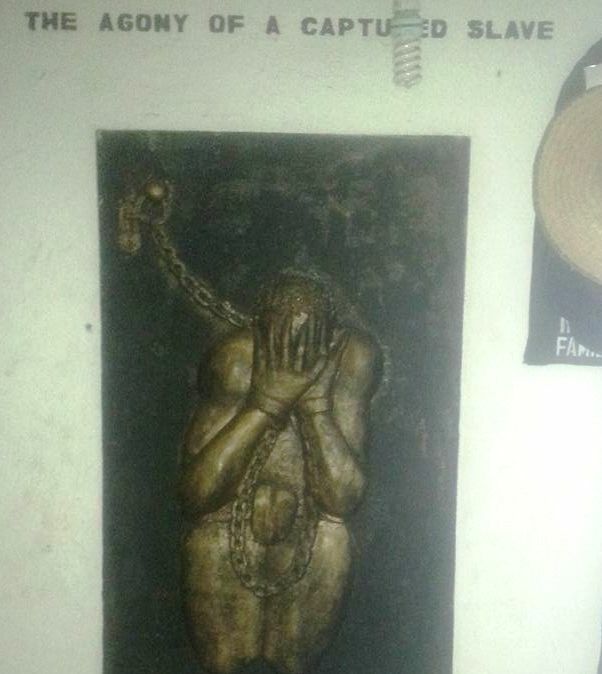 There are different portraits of captured slaves including the castrated ones with chains tied around their necks, hands and legs, etc all indicating the torture slaves went through back then. Various chains for different purposes. If you are very emotional, it may not be a nice place for you to visit but if you love adventure and history, then it is a must visit!. History gives insight on what occurred in the past and keeps you well informed. 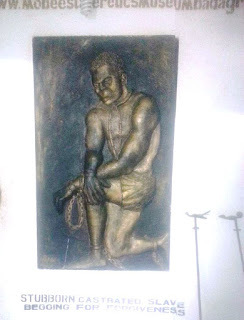 The pictures obviously are not clear enough but this is just to give you all an insight of what Badagry Slave Trade looks like and what to expect when you visit. 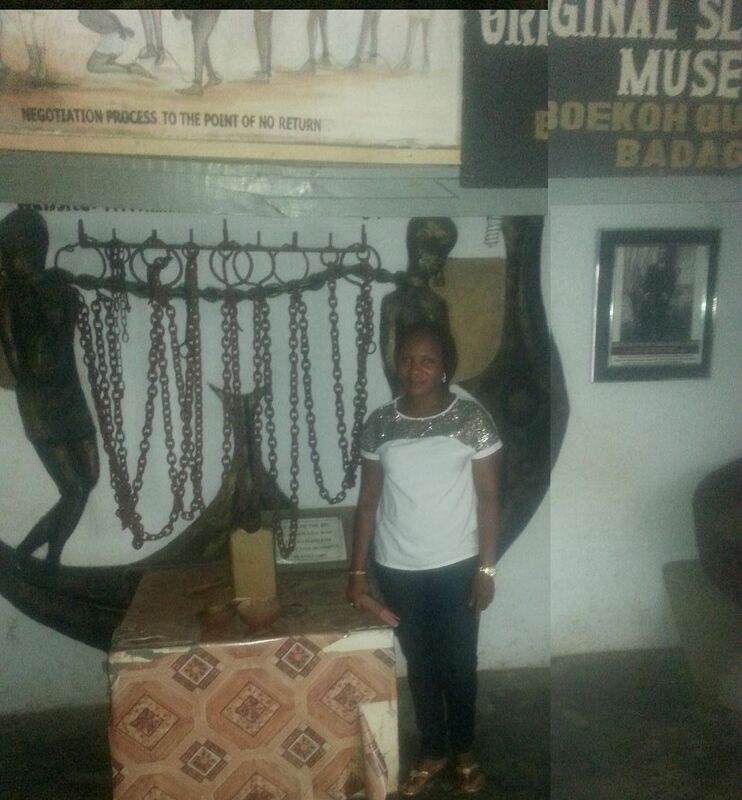 Kemo as she is fondly called visited this historical place with her friends due to their thirst for history and adventure and she has decided to share her experience there with us. What are you waiting for? 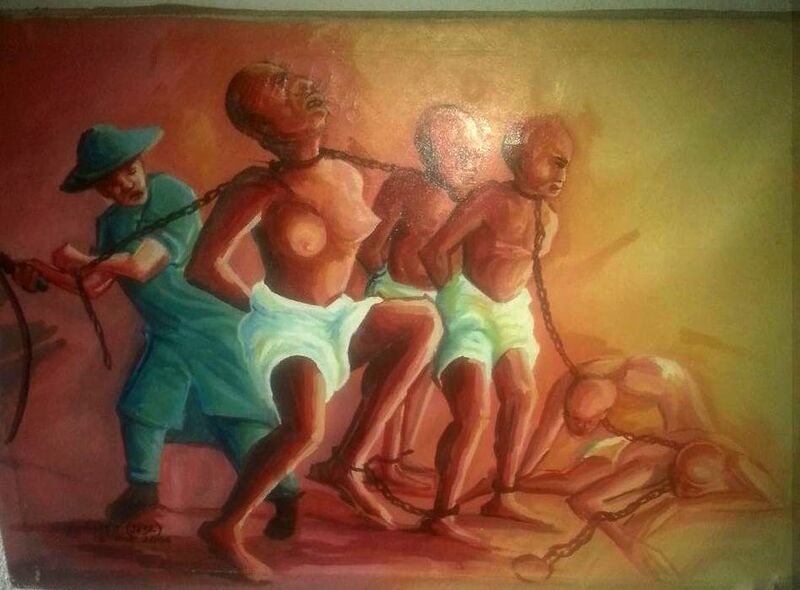 Are you in Nigeria and never been here before? You should definitely plan a visit. Ancient site indeed!I'm so glad places that speak of the travails of our forefathers still exist in Nigeria!I'd hope to visit someday Nice piece! Kudos!